*I’m a sponsored blog partner of Reliant but as always, all thoughts and opinions are my own. This year it’s going to be nine years since I moved from Honduras to Houston, Texas. Wow! Almost a decade not living in my hometown, but the truth is, Houston is my hometown now. Houston has really grown on me, from the people to the food, I can’t imagine living anywhere else now. 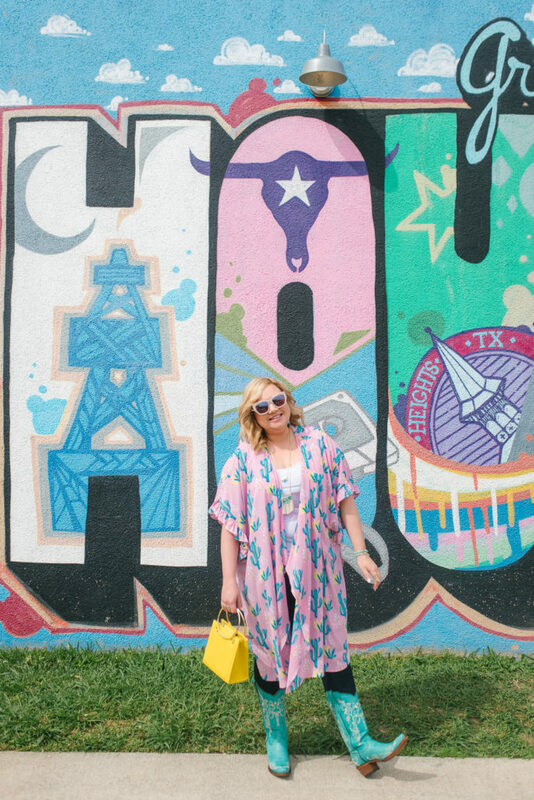 I feel so embraced by this city so I’ve embraced it back with my recent love for barbecue, country music and boots.My life changed drastically for the good when I moved here. Every corner of the city is still an undiscovered gem for me and there’s always a new place to visit or someone new to meet because I didn’t grow up here. When I moved here I got a second degree, had a couple of jobs related to my career in photography and print magazines, made friends from all over the world and met my husband. I feel like my life switched on with this international move. Why you might ask? Well, I was living a happy life in Honduras but I was not challenging myself. “The failure of success is not failure, it’s comfort,” said Michelle Poler of @hellofears and I truly believe in this saying. Getting uncomfortable made me get things done! This move has been the biggest challenge of my life and I feel that I overcame the obstacles that came with it and succeeded. Now on to conquer other bumps in the road right? 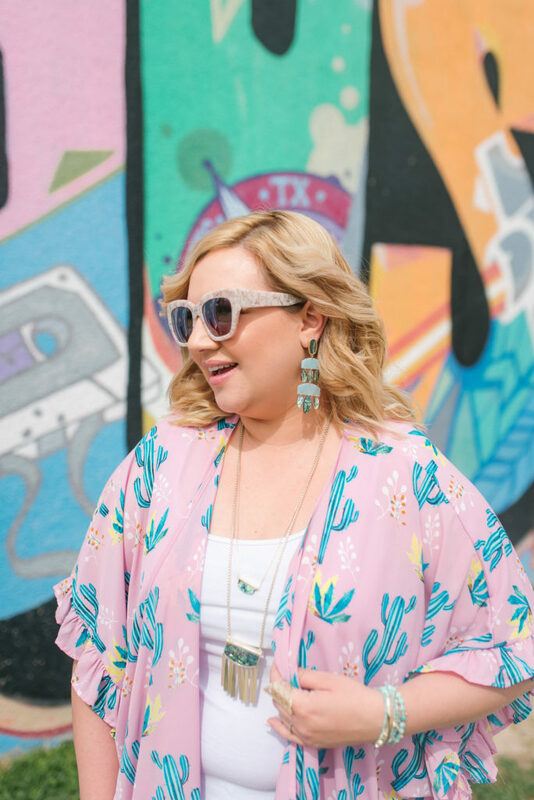 I am so happy to be able to pursue my blogging career and be creative living in Houston, Texas. As cliché as it sounds, I wake up every morning to work but it never feels like a job. 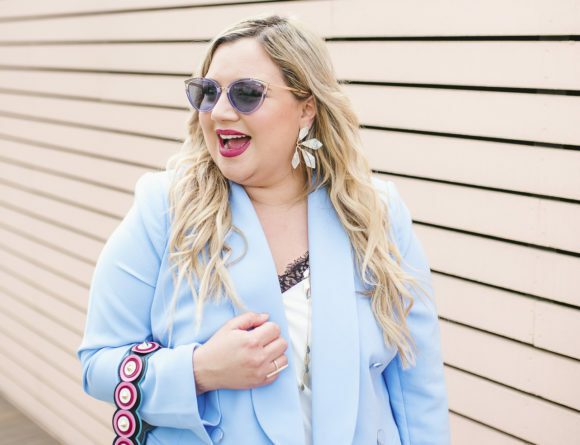 Imagine my surprise and happiness when Reliant Energy reached out to me and wanted to work with me on this post and offer me a trip to Cavender’s to buy my first pair of boots and put together a Houston Rodeo outfit! I shed a tear or two thinking that buying my first pair of boots would officially make me a Texan. My mom confirmed it when she saw me with the boots on and said: “Oficialmente sos tejana Nicole” (You’re officially Texan Nicole). 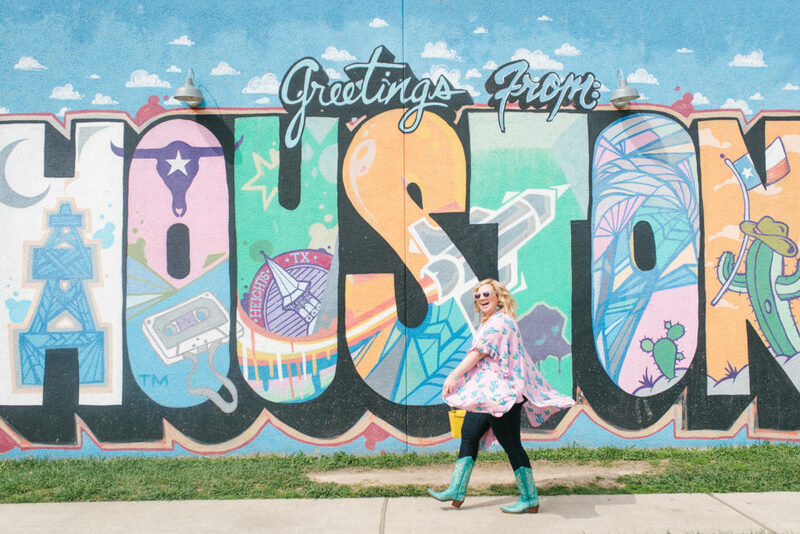 In honor of the nine years I’ve been living here, I wanted to share nine reasons why I love living in beautiful Houston, Texas and I hope it makes you feel proud of your city. And if you don’t live here, I hope it makes you want to visit us soon! We have an amazingly diverse restaurant scene and the best Tex-Mex and authentic Mexican food. Actually, we have the best Southwest Mexican chef according to the James Beard Award Foundation, Hugo Ortega. Living here I’ve tried food I’ve never had before like from Thailand, Greece, Lebanon, Korea, Vietnam, Brazil, and Southern food like fried chicken and waffles and barbecue. We have outlet malls in every area of the city and our boutique scene is filled with mom and pop shops bursting with creativity. You can even buy boots all year long like the ones I got at Cavender’s. These short boots and glittery pair are on my wish list for years to come. A selection of boots at Cavender’s are 10-15% off right now during the Houston Rodeo so don’t miss your chance of scoring a pair at a better price. 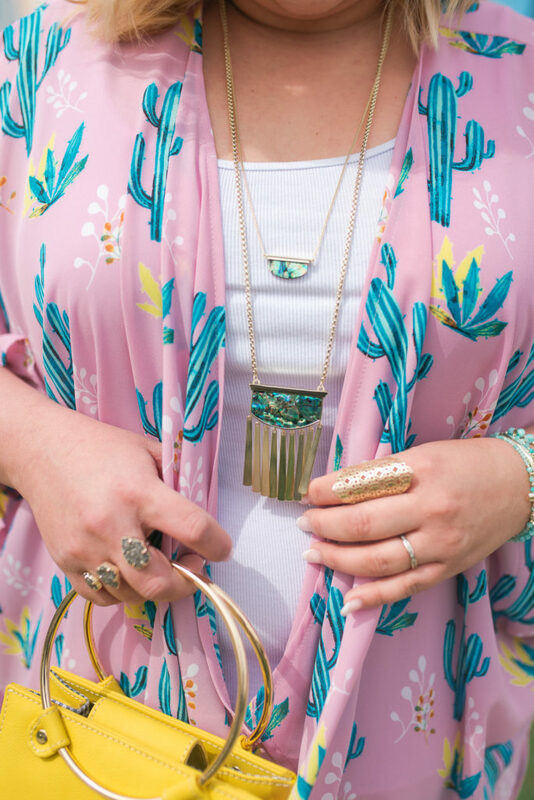 I got my gorgeous cactus kimono you see in the photos but I am also crushing on this pink cowgirl shirt and this pink plaid button down. One of the reasons we decided to move to Texas was because it was one of the most affordable states in the USA. Housing, utilities and entertainment is just a lot less expensive here so I love stretching my dollars and experiencing everything the city has to offer. Reliant’s Rodeo Plan is just one of the ways you can save energy and money. Call 1-866-RELIANT and mention promo code XADW3P to switch to the Reliant Rodeo plan today, or sign up online. When you sign up, you get a $100 Cavender’s gift card to use towards your favorite western attire. If you’ve never been to Cavender’s then behold, you are going to love it; there’s so much clothes, fragrances and boot styles that I didn’t know where to start when I first visited the store last week. Our wall art is through the roof! I love how every part of Houston has become “Instagram-worthy” thanks to local artist like GONZO247 and Daniel Anguilu. 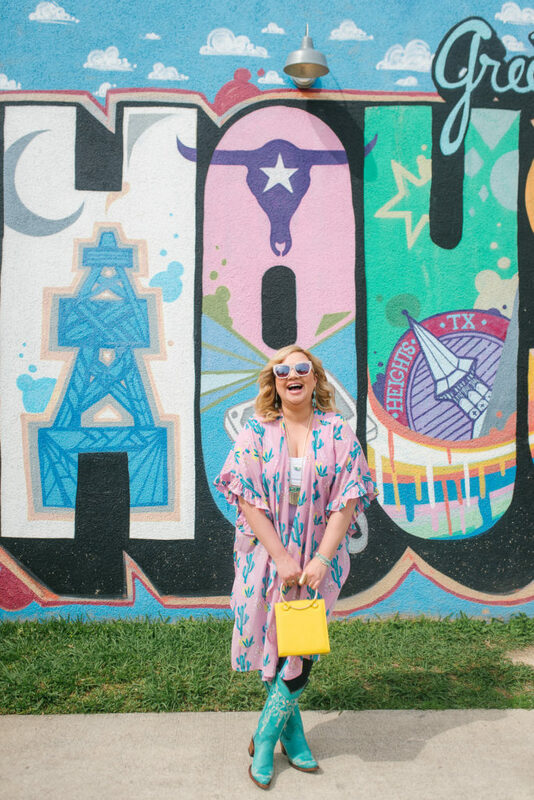 This “Greetings from Houston” wall is located at 3602 White Oak Drive in the Houston Heights and it’s one of my favorites along with this pink wall and these stairs in downtown Houston. Texas is only 3 hours away from Honduras so we get family members and friends visiting us all the time. I had never been to a rodeo until I moved to Houston and boy was it fun! This is one of the biggest livestock shows and rodeos in the country too. I enjoyed seeing my first mutton busting which is an event similar to bull riding or bronc riding, in which children ride or race sheep. There’s also a petting zoo, carnival rides and concerts every week from artists such as Pitbull, Blake Shelton, Demi Lovato and more. I have so many friends from so many different places in the world; it’s so beautiful to witness how diversity lives in harmony in Houston which makes it a rich hub for music, food and culture. Shout out to the friends from Brazil, Kosovo, Poland, Venezuela, Honduras, The Philippines and Vietnam that we’ve made here with my husband. The biggest reason I have learned to embrace where I live is because this city is where I met my husband and where Nicolás Enrique was born. He is the first one to be born here from my family and he’ll grow up only knowing Houston, Texas. I get so emotional thinking about this because my whole family grew up in Honduras but with Nicolás we start a new story and adventure. 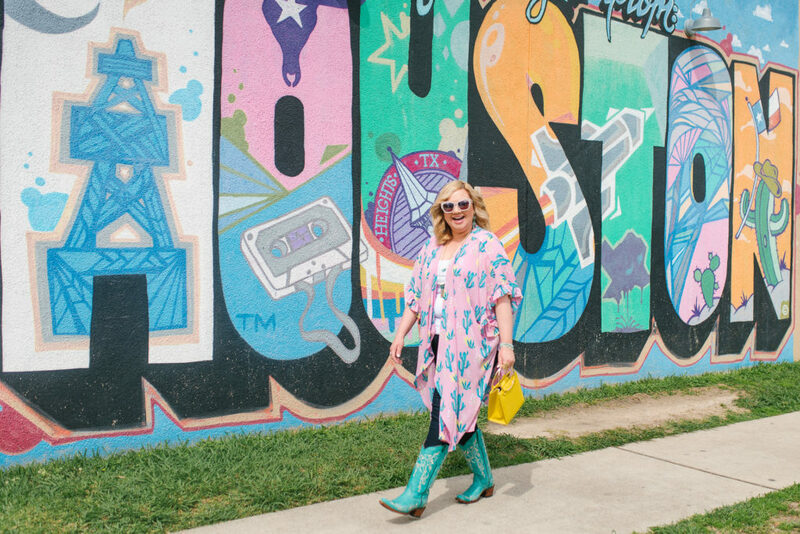 There are so many things to do as a family in Houston whether it be a trip to the Houston Zoo or The Museum of Fine Arts, there’s always something going on. Now that I have a baby boy I appreciate this aspect of Houston so much more. 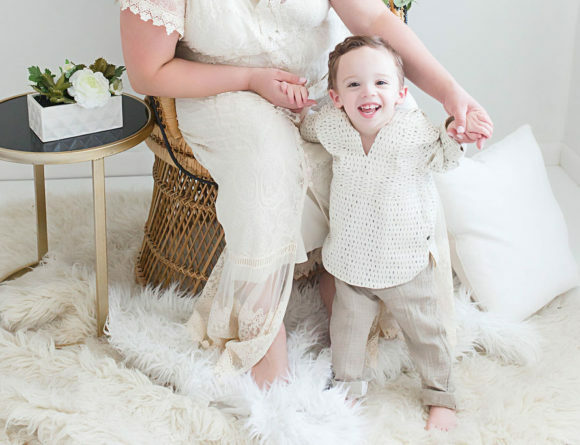 I also appreciate that there’s various concerts and Broadway shows in the second largest theater district in downtown Houston and whenever my mom wants to babysit, we can also have fun as a couple. P.S. Don’t forget to check out Reliant’s Rodeo Plan and get your $100 Cavender’s gift card when you sign up. Enter my $100 Cavender’s Gift Card Giveaway on my Instagram post below! 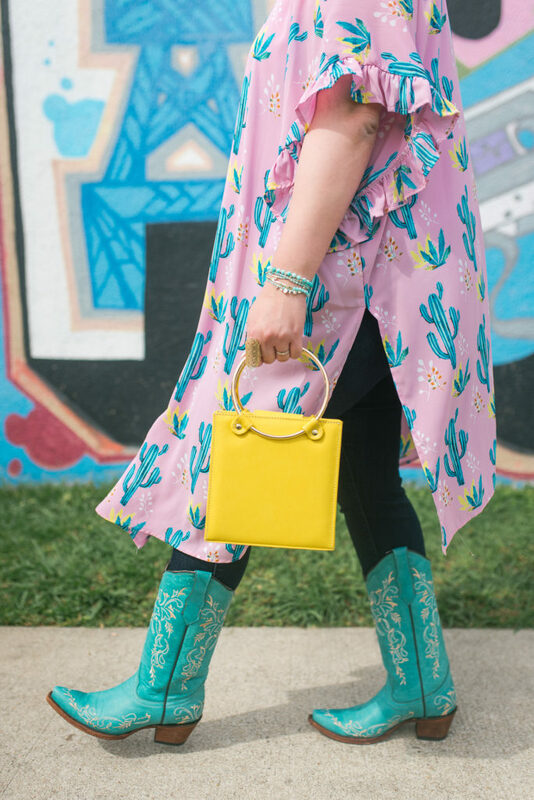 Reliant partnered with influencers such as me for its Rodeo Plan influencer campaign. As part of this Program, I received compensation for my time. Reliant believes that consumers and influencers are free to form their own opinions and share them in their own words. Reliant policies align with WOMMA Ethics Code, Federal Trade Commission (FTC) guidelines and social media engagement recommendations. Que chulo! My sister lives in Houston (moved from Miami 10years ago) & loves it! I have thought about it to be closer to her & after reading this might just do it in a few years. 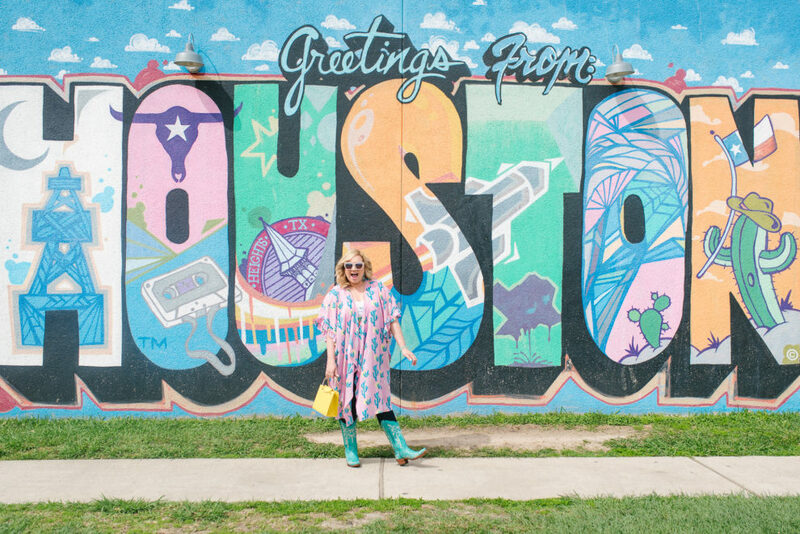 I plan on returning with my 3yr old son & exploring Houston even more! Gracias! Hey Jazmin! That’s so exciting! 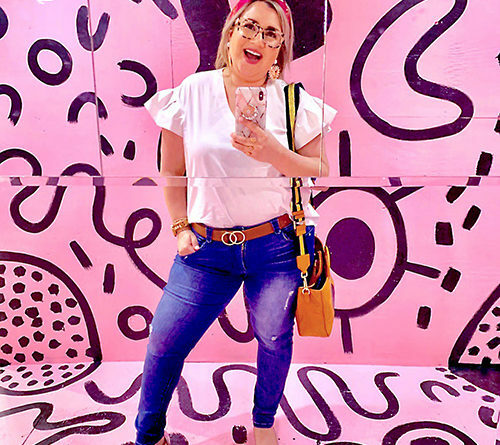 There’s so much to do here with kids and I’m sure your sister knows all the hot spots for family friendly fun but if not, let me know when you’re coming and I’ll throw some suggestions your way. Thanks for stopping by!